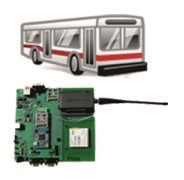 IoT modules like WiFi modules, BLE modules, 3G/4G modules connects to your host CPU over SPI/SDIO/UART/USB interface and helps you create IoT applications using sensors and connectivity technologies. Our associated mature software portfolio stack and reference designs across multiple platforms make it easy to develop cloud-connected industrial IoT applications in few hours, making utility, logistics, security, industrial automation, home automation and so on. Just need an idea, and you can create it very quickly with minimal investment using our portfolio of products, experience, and skills. In the Internet of Things (IoT) world, data needs to be reliably collected from millions of things, quickly transformed into actionable intelligent information. The sensor cloud platform provides required AI and Machine Learning capabilities to automate decision-making and secure management of resources in the day to day life for consumers and industrial Iot companies. Platform using state-of-the-art technologies scales well as your requirements grow. SensoCloud architecture makes it highly configurable for specific vertical application needs. Applications include logistics, security, factory automation, utility monitoring billing and control, and custom portals with mobile access and modular UI. IoT devices usually require sensors for converting real-world data to a measured value, a processing unit, and a communication interface. Our years of global experience and knowledge pool of embedded wireless concepts, systems, services, and components enable us to innovate, design, integrate, and develop applications and products with less turnaround time. We work with chip vendors, OEMs/ODMs, wifi modules, sensor and equipment manufacturers, operators to develop and deploy solutions best suited to meet your M2M and industrial IoT objectives with a value proposition of faster time to market and minimized the cost of development. Our knowledge pool of various testing tools, methodologies and technologies enable us to innovate, develop and execute dynamic and static scenarios, evaluating the product from top to bottom enhancing end user experience. 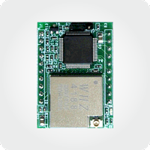 Embedded Whiz-IoT node combines a powerful ARM Cortex M3 micro-controller with Wi-Fi and provides the capability to collect data from various sensors. Interfaces available are UART, I2C, ADC, SPI, GPIO which connects to various sensors such as pressure, smoke, humidity, temperature, electricity, water etc. and then logs them into a central database from the cloud. The water usage monitor measures relevant water usage data. The node collects information and 3G, GPRS, WiFi connectivity helps to send the information to the cloud for real-time water usage monitoring. A smart mobile application works with our cloud infrastructure to provide a view into water consumption & helps reduce water costs. The barcode reader reads the barcode on CDs, books, groceries and other products, to look up prices and reviews, or search for a word in a book and find where it occurs. Information collected is then sent to the access point via a WiFi link. This information is then re-transmitted to a distant server that hosts the database. 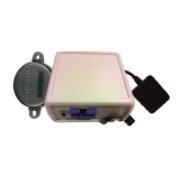 UART to WLAN medical system designed to collect, retrieve and deliver data from virtually any type of medical device with UART and send it to clinic's or hospital's information systems using WiFi connectivity. A camera is attached in order to send photos and videos of the patient for real-time image diagnosis. 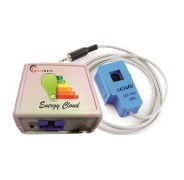 The current consumption monitoring unit measures and stores the electrical consumption of an individual electrical appliance or an entire building. The measurements are stored in onboard SD memory. The system can be mounted anywhere & is small enough to be secured inside the electrical panel. The GPS provides time & location info. 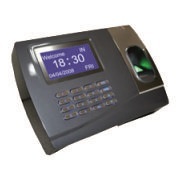 Security applications, including access control, is covered with this technology. The information given by the passive tags is read by the RFID interface or fingerprint information by the biometric interface and then the information transmitted using the WiFi to an internet gateway which will finally upload it to a cloud server. Whiznets has developed expertise on GCT chipsets based on WiMAX & LTE solutions at the system and software level. Our team also has deep experience working with the integration of the chipsets on multiple platforms like TI Zoom2, TI Zoom3, OMAP II, OMAP III and Nvidia on Linux and Android which aid in creating platforms for mobile markets and hotspot solutions. 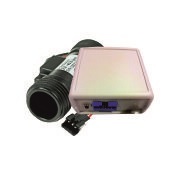 The location fuel mileage sensor node provides high-precision measurements of the fuel level in a fuel tank, and gives detailed information about fuel tank fueling and draining. Prevent fraud, draining and unauthorized use of fuel using this system. 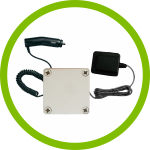 Monitor real-time movement of the vehicle and its location over the wireless network or GPS. Smartphones come with a host of sensors that capture various bits of information from their immediate surroundings. Beyond the microphone and camera, they integrate multiple sensors such as GPS, NFC, draw capability, audio, screen touch, compass, and so on which can be used intelligently by various apps to provide significant value to the user. The platform provides continuous real-time location, direction, and speed information when you need it most. The platform allows managers to monitor their vehicles’ every move through GPS data and live map technology. Influenceable vehicle event information is easily accessible on the map view. The system is a self-service terminal with the ability to create ads which creates an interactive environment for valued customers. 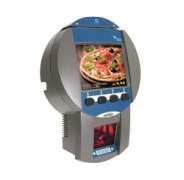 The system allows for quick and easy price verification and it displays complete product information, pictures, and ads. The portal measures performance metrics across ad campaigns. Advanced connection manager for WiMAX is part of the services based solution to GCT semiconductor. 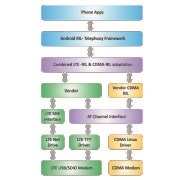 Services involved designing & developing an ACM to allow WiMAX device configuration, security, connectivity, and monitoring. An architecture was designed for ease of migration across multiple Android versions. Developed & integrated the WiMAX subsystem together with Marvell's WiFi access point chipset to create a WiFi to WiMAX hotspot. 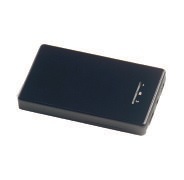 The WiFi to WiMAX hotspot enables users to use mobile WiMAX and WiFi module service at the same time. Integrated GCT WiMAX chipset for a customer in Malaysia that uses a high-performance mobile WiMAX baseband and radio transceiver functionality to implement a full-featured WiMAX station for CPE, residential, SOHO (small office/home office), SMB (small-to-midsize businesses), and enterprise networks. The tourist guide system is a solution for museums, parks and cultural sites that features speech-extracting sound technology and full interactivity. The system includes dedicated hardware and software components to provide a technologically transparent solution for location-based mobile content delivery. The key purpose of RIL simulator is to test and validate a multi-wireless system using LTE, CDMA, and GSM for switching ease and performance without the need for actual modem hardware or network infrastructure. 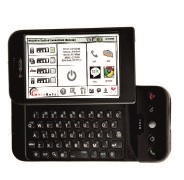 It allows users to validate their RIL without the need for wireless network or a network modem. AT commands provide an easy interface to configure the simulator for different use cases enabling the user to validate various network conditions by simulation, control and manage. Businesses are placed under increasing pressure to decrease costs, increase revenue streams, comply with legislation, provide duty of care to employees, protect their assets and deliver profit. Our GPS Monitoring Solution allows you to effectively track and secure your assets in real time. 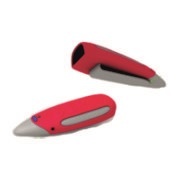 Device can be installed magnetically in a matter of seconds without drilling or wiring. The device collects location information and streams the information to the cloud. 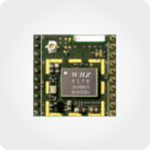 Embedded Whiz-IoT node combines a powerful ARM Cortex M3 micro-controller with Wi-Fi and provides the capability to collect data from various sensors. Interfaces available are UART, I2C, ADC, SPI, GPIO which connect to various sensors such as pressure, smoke, humidity, temperature, electricity, water etc and then logs them into a central database from the cloud. Businesses are placed under increasing pressure to decrease costs, increase revenue streams, comply with legislation, provide duty of care to employees, protect their assets and deliver profit. Our GPS Monitoring Solution allows you to effectively track and secure your assets in real time. Device can be installed magnetically in a matter of seconds without drilling or wiring.The device collects location information and streams the information to the cloud. 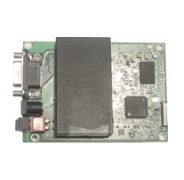 Industrial IoT wiFi modules IEEE 802.11bgn connects to your host CPU over SPI/SDIO/UART interface and helps you to save one extra CPU cost by directly integrating the low footprint SDK and network stack on your CPU. These low-power, low-cost modules are sized to fit within your products. 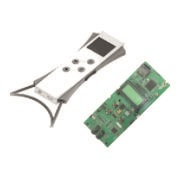 Multiple antenna options and reference starter kits are available to minimize costs and accelerate time-to-market. 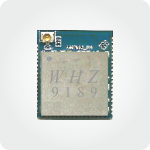 Highly integrated 56 pin IoT wifi module, small size 9x11x1.3 mm. Supports 802.11bgn, SPI and SDIO interface and has support for NO OS, RTOS or Linux based platforms. SoftAP mode or Station mode. Low power "Serial to WiFi" module. Offloads host from the implementation of Wi-Fi protocol, security algorithms, and TCP/IP communication protocol. UART interface. True fully integrated 52 pin IoT wifi module, small size 18x18x2.2 mm. 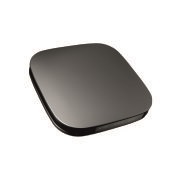 Supports 802.11bgn, SPI & SDIO interface and has support for NO OS, RTOS or Linux based platforms. SoftAP mode or Station mode. 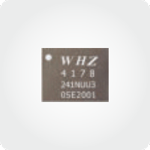 FCC/CE/Telec certified small size 19x22.25x2.3 mm module for IoT connected apps. Your application on module or off-module using GPIO, SPI, UART, I2C, PWM for sensors and free RTOS based cloud-connected firmware. 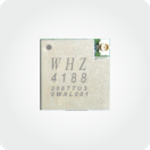 Wifi module WHZ4178 supports 802.11bgn SPI & SDIO interface and has support for NO OS, RTOS or Linux, Android-based platforms. SoftAP mode or Station mode. Size 25.4x25.4 mm ready to use 10 pin 2.54 mm pitch connector for prototyping using software SDK provided. Time is money, Whiznets offer developer friendly packages to include WiFi modules in your low footprint micro-controller based products. Package enables you to build complete WiFi application project in the shortest time spending minimal engineering effort. Options of OSless/RTOS and Linux/Android allows you to use our wifi modules in multiple levels of applications. Linux/Android option is available for SDIO interface. Contact us for further information on Linux platform options. SDK allows you to write your application together with the network stack and WLAN driver to run everything on one micro-controller, saving you cost and power. Starter kits are available for many processor technologies based on Cortex-M3, Cortex-M4, Cortex-M0+, AVR32, PIC32, ARM7, ARM9 CPUs with SPI and SDIO interfaces. Each starter kit comes with IoT wifi modules and WiFi software SDK required for your applications development. A sample project with reference network stack (LwIP) integrated with WiFi driver stack along with a sample application allows you to use reference network stack or integrate your own network stack to WiFi driver stack library. Starter kits allow you to kick-start your projects very fast with a ready out of the box environment. You directly start writing a prototype of your application or you take the infrastructure and port it on your own processor platform. The package of these starter kits is portable to other platforms, you can choose the one that is closest to your CPU, tool chain and interface. If you do not see your configuration, contact us, and we can provide you the specific information for your configuration. For Linux/Android SDK requirements on SDIO interface, we work together with you to provide a ported SDK for your platform-specific needs. Contact us for discussion on your requirements and a custom quote. TI Tiva C series Cortex-M4 processor based WiFi starter kit. Portable to other Cortrex-M4 or Cortrex-M3 based CPU's of different manufacturers. Atmel SAMG53 Cortex-M4 processor based WiFi starter kit. Portable to other Cortrex-M4 or Cortrex-M3 based CPU's of different manufacturers. 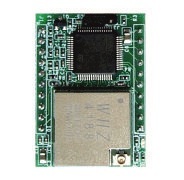 Freescale KL46Z Cortex-M0+ processor based WiFi starter kit. Portable to other Cortrex-M0+ based CPU's of different manufacturers. NXP LPC2368 ARM7 processor based WiFi starter kit. Portable to other ARM7 based CPU's of different manufacturers. 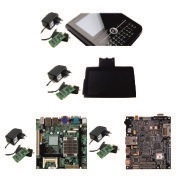 Samsung S3C2440 ARM9 processor based WiFi starter kit. Portable to other ARM9 based CPU's of different manufacturers. Freescale Kinetics60 Cortex-M4 processor based WiFi starter kit. Portable to other Cortrex-M4 or Cortrex-M3 based CPU's of different manufacturers. Atmel AVR32 processor based WiFi starter kit. STM32F103ZE Cortex-M3 processor based WiFi starter kit. Portable to other Cortrex-M3 or Cortrex-M4 based CPU's of different manufacturers. STM32L151 Cortrex-M3 processor based WiFi starter kit. Portable to other Cortrex-M3 or Cortrex-M4 based CPU's of different manufacturers. STM NUCLEO-F401RE Cortex-M4 processor based WiFi starter kit. Portable to other Cortrex-M4 or Cortrex-M3 based CPU's of different manufacturers. Atmel ATSAMA5D3 Cortex-A5 processor-based Linux SDIO WiFi starter kit. 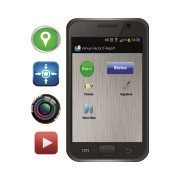 Freescale i.MX6 Cortex-A9 processor-based Android SDIO WiFi starter kit. Take advantage of our growing versatile solutions portfolio and expertise to reduce your cost, optimize your operations and improve your time-to-market. Contact us for further discussion on next innovative idea in your mind to change the world and let’s see how we can work together to make them a reality.